Despite those bold words up to this point I have not followed through on that promise, making the entire premise of this site somewhat suspect. 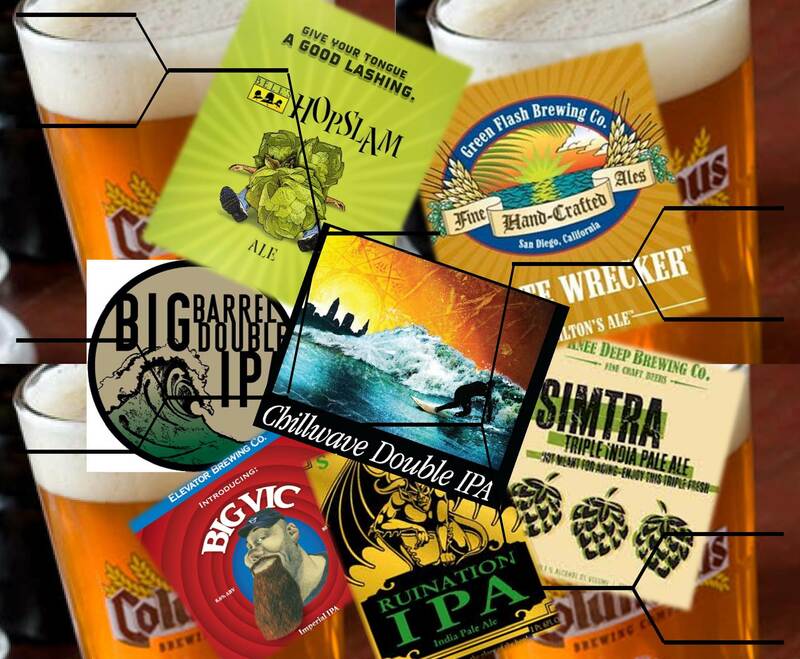 Given that we are in the midst of March Madness, the granddaddy of significant single elimination tournaments, now seems like a good time to set things right by diving head first into beer bracket madness. 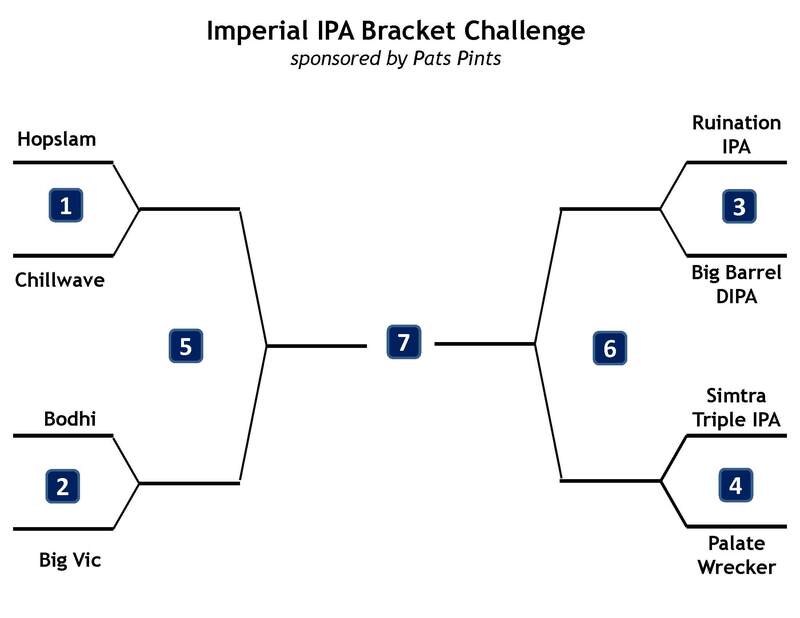 I decided to focus on Imperial IPAs for the inaugural offering of beer bracket madness. This was motivated largely by my desire to compare Bell’s Hopslam, Great Lakes Chillwave and Columbus Brewing Co. Bodhi. I fully realize this is not the most original idea, but it’s still fun to do (and hopefully read about). For a more expansive take on this idea check out the results of the Brewing News National IPA and Imperial IPA tournaments. The results are also subjective and represent the taste preferences of myself and the other judges (Chris and Ted) who were willing and able to come to my house and subject their taste buds to the lashing that one gets from these big beers. Finally, I’m sure that some would argue that your taste buds don’t recover well from such hoppy beers raising questions about the validity of the later rounds. Those are all reasonable points, and you can decide yourself how seriously to take this exercise. I will say that I’m confident that if I were to repeat the tournament the results would be quite similar. For a one night contest I felt that we could not evaluate more than eight beers (7 matches). The contestants were divided up into a Midwest Region and a West Region. The beers that were included showcase a range of hop varieties that include Centennial (Palate Wrecker, Ruination IPA), Mosaic (Chillwave), Citra (Big Vic, Simtra), Simcoe (Hopslam, Simtra) and Nelson Sauvin (Big Barrel DIPA). The results are the choices of a three person panel. I was joined by Ted, who used to be more of a wine drinker but with my encouragement has become an avid beer fan, and Chris, who is a talented homebrewer, beer lover and Canadian expat. Chris and Ted also joined me for judging the final round of Quadrophilia (The Search for the World’s Best Belgian Quad), which was captured on video if you want to get a visual of the judging panel. We were drinking roughly 4 ounce pours of each beer per round, eating snacks and drinking water between each round. The beer identities were blind to Ted and Chris, but I was pouring the beers and thus knew their identity. In each round the judges were asked to pick their favorite beer by blind ballot. Description: Made with six different hop varietals added to the brew kettle & culminating with a massive dry-hop addition of Simcoe hops. A generous malt bill and a solid dollop of honey provide just enough body to keep the balance in check, resulting in a remarkably drinkable rendition of the Double India Pale Ale style. Description: Bodhi (the Sanskrit term for enlightenment) is the pride of Columbus. It is not bottled but can readily be picked up in growlers at many Columbus establishments. As of the writing of this article it was the highest rated Ohio beer on Beer Advocate, coming in at #89, one spot ahead of Hop JuJu, Fathead’s Imperial IPA (and not available for this contest). 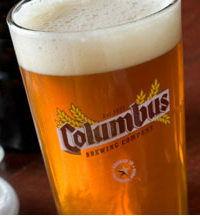 In a recent poll by Drink Up Columbus it was the overwhelming choice as the best beer in the capital city. The hops and malts used to make Bodhi are not widely publicized and not known to me. Description: Elevator Brewing Company is another Columbus brewery. This beer was just released in bottles prior to the showdown. Quoting from the label on the bottle Big Vic is dry hopped with Citra to create a bold, hoppy wheat IPA hybrid. I find Elevator beers to be a mixed bag, but this one looks promising. Description: An iconic double IPA. Although they don’t give the ingredients on their website the brewers at Stone did publish a recipe for a Ruination Clone in Brew Your Own magazine where they call for Magnum and Centennial hops in the boil, and they dry hop exclusively with Centennial. Description: I bought this beer while in San Diego while on a fantastic Beercation a few weeks back. I chose it because I had read it was a showcase for Nelson Sauvin hops from New Zealand. It also includes aggressive amounts of Warrior and Ahtanum hops to produce an assertive bitterness that stands out against a firm malt backbone. Description: This is a triple IPA out of California. It recently became available in Columbus. The ABV and IBUs are the highest of any beer in the contest. 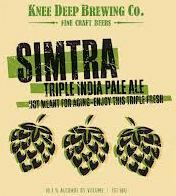 The name comes from the combination of Simcoe and Citra hops used in this beer. 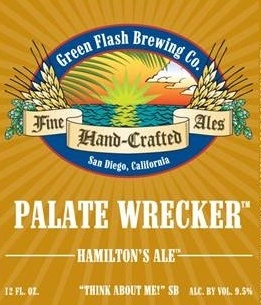 Description: Green Flash uses 6 lbs/bbl of Columbus and Centennial hops to create this big West Coast DIPA. In addition they use an interesting brewing process, after the first mash, they sparge the second round with hopped wort, which adds a bit of kettle carmelization. The bracket for the tournament is given below. Since our palates were freshest at the start of the contest, I tried to seed the beers so that each beer was pitted against the competitor that was most similar right off the bat. For me this was the most anticipated matchup of the tournament. Hopslam is legendary and highly sought after when it hits the shelves in late January. 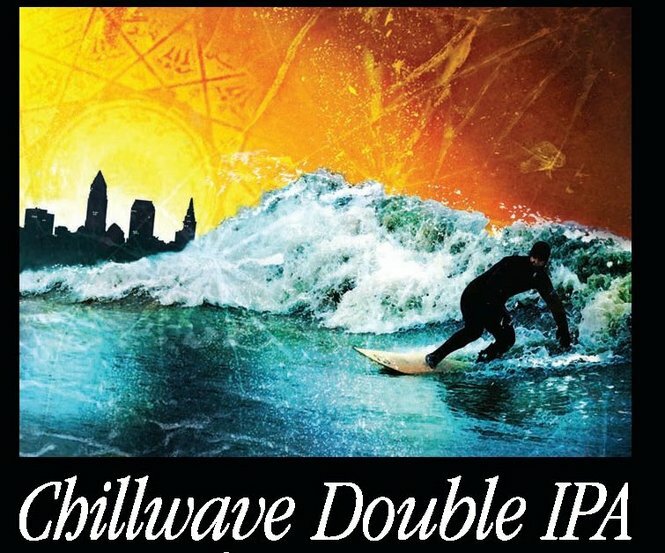 Chillwave is the new kid on the block, built around a hot new hop, Mosaic. You can find full reviews of both Hopslam and Chillwave in the beer reviews section of the site. 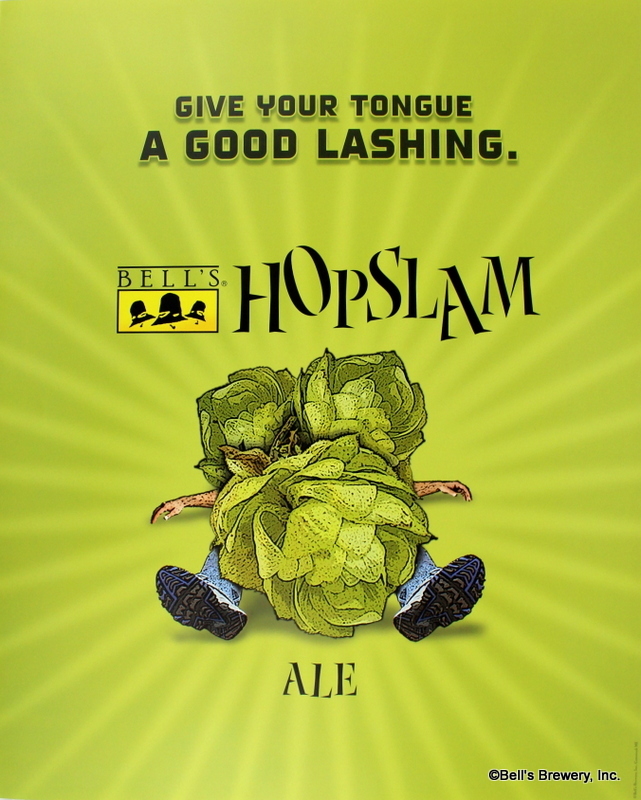 Despite its name and Bell’s marketing approach the hop profile of Hopslam is more restrained than most of the beers in this contest, but still nicely floral and fruity. The use of honey smooths off the rough edges and makes for a surprisingly drinkable 10% abv imperial IPA. Despite the fact that this bottle was 2 months old (I asked Bell’s if they were willing to make a fresh batch for me, but my request fell on deaf ears) its taste did not seem to have changed too much from when I had it fresh. You might want to check out posts by the Brew Professor and Bryan Roth on the effects that age have on Hopslam. Chillwave is much more in your nose with its hops. It’s absolutely one of the fruitiest and juiciest IPAs I’ve had the pleasure to drink. There is a lot of tropical fruit flavors: apricots, peaches, tangerines, and if you look for it, hints of blueberry. At the same time it has a dose of the dank hoppiness associated with a DIPA. The bitterness is not too harsh. It’s a brilliant showcase for the Mosaic hops. If there is any flaw I would say that the malts are just a shade too sweet, but that’s like critiquing Scarlett Johansson’s appearance and saying that her toes are a little stubby. The Winner: Chillwave by a unanimous 3-0 decision. I expected this to be a walkover but it turned out to be almost too close to call. Bodhi has a much more aromatic nose and pours with a nice big head, superior to Big Vic in both categories. So at first glance it seemed like Bodhi would have no trouble dispatching Columbus’ newest DIPA, but when we started tasting things got interesting. Big Vic has a nice fruity taste with flavors like orange and pineapple, and a great malt base that nicely compliments the hops. Bodhi has a ton of citrus flavor from the hops, more in the classic west coast IPA style, but the malts are a little too sweet for my tastes. Both beers have what I would call a “smooth” bitterness. 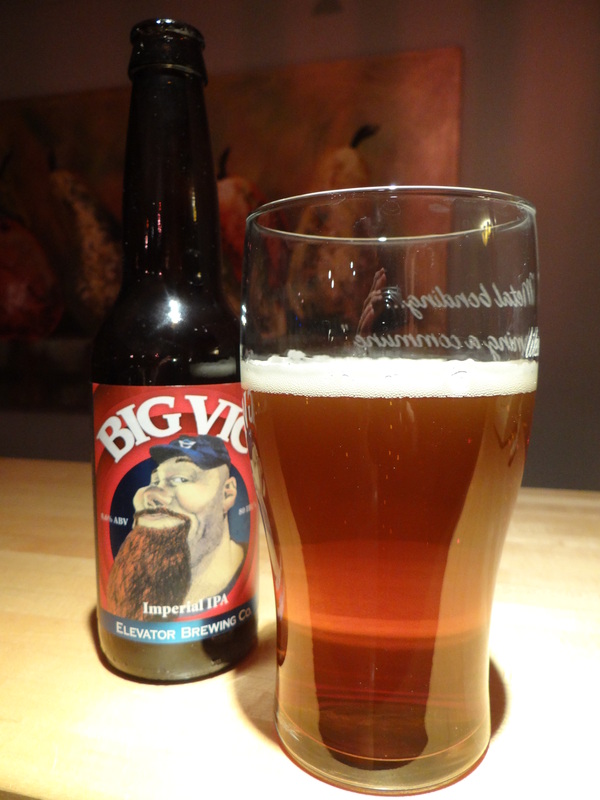 Click here if you want to read a full review of Big Vic. It’s nice to have a local brewery bottling an Imperial IPA that I hope will be available year round. The Winner: Bodhi by a 2-1 split decision. Chris felt it was closer expected but gave the nod to Bodhi. Ted did not care for Bodhi and went with Big Vic. I had a very difficult time choosing and could have flipped a coin, but in the end I went with Bodhi. This match was a contrast in the styles of hops. 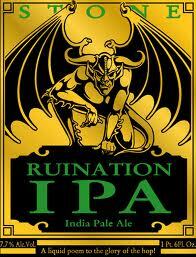 Ruination relies heavily on Centennial hops and it shows with a big blast of grapefruit and pine in the typical West Coast IPA style. 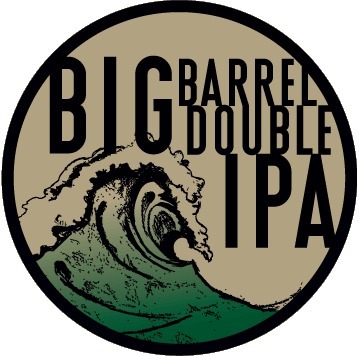 Big Barrel DIPA features Nelson Sauvin hops from New Zealand and its taste/aroma profile tended strongly toward mangos and tropical fruit. I’ve tried several New Zealand hopped beers that did not agree well with my palate, so the deliciousness of the Nelson Sauvin hops in Big Barrel was a revelation to me. The Winner: Big Barrel DIPA by a 2-1 split decision. The last match of the first round pitted the two biggest beers of the night in terms of both abv and ibu. Like the previous match this one also shaped up as a contrast in hop varieties. Palate Wrecker uses classic west coast hops, Columbus and Centennial, while Simtra features two standouts from the new generation of high alpha acid, aromatic hops, Citra and Simcoe. Unlike the previous match here the beers were more similar than different (or maybe we were suffering palate fatigue by this point in the contest). These are big west coast Triple IPAs in the same vein as Ruination. It’s impressive how drinkable both beers were. For me the citrus fruit flavors stood out a little more in Simtra and I thought that the bitterness was a little more assertive in Palate Wrecker. The Winner: Simtra by a 2-1 split decision. When the dust from the first round settled there were four beers remaining. In the Midwest region we had two Ohio beers, Chillwave and Bodhi, facing off, while in the West Region it was Big Barrel DIPA vs. Simtra. It’s interesting to note that three of the remaining beers showcase relatively new varieties of hops—Mosaic (Chillwave), Nelson Sauvin (Big Barrel), Citra and Simcoe (Simtra). Since I’ve already described the beers I’ll get straight to the results as shown in the bracket below. Chillwave comes out on top by besting Bodhi in a split decision and then Big Barrel DIPA in a unanimous decision. Big Barrel DIPA was a revelation for me, restoring my faith in New Zealand hop varieties. If only it were distributed to Ohio. 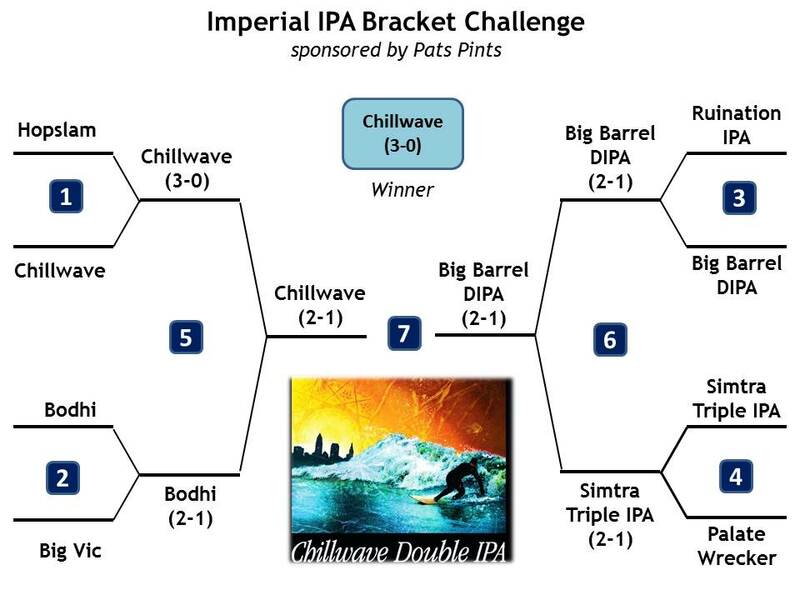 I will say that in the Brewing News National Imperial IPA tournament that Chillwave made it all the way to the final four before losing to another Ohio brewed IIPA, Hop JuJu by Fatheads. Which subsequently lost to yet another Ohio beer in the final match, El Lupelo Libre made by the Brew Kettle. I guess you could say Ohio is the place to be for top notch Imperial IPAs. Maybe we should put that on our license plates, “Famous Imperial IPAs.” If Idaho does the same with potatoes, I don’t see why not. Ohioans write your legislator today. I’d be curious to hear from everyone out there what is your favorite Imperial IPA? How many of you have tried Chillwave? There is not too much left in the stores by now, but last time I looked there were still some bottles left on the shelves.